At Cobie VetCare, we want to make preventative health care easy and affordable to help you give your pets the best care possible. We believe that prevention is better than cure, rather than waiting until a pet is ill and suffering to put things right. Early diagnosis of health problems will help your pet to live a long and healthy life. Our Pet Health Plan is not pet insurance. It covers the essential treatments your pet needs throughout life, such as vaccinations, flea and worm treatments and regular health checks. Extra benefits of the plan include discounts on many other products and services at the practice. 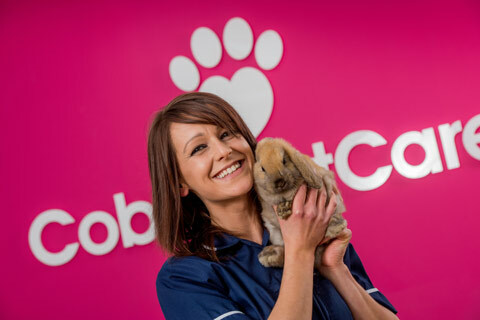 Please call the Cobie VetCare team on 01323 646329, or call in for more information about our Pet Health Plans. Alternatively, please call the Pet Health Plans team on 0800 169 9958, Monday to Thursday 8.30am – 6pm, Friday 8.30am – 5pm. Blood test, Drip, Anaesthetic, Scale & Polish, Extractions, Antibiotics, Painkillers. Dogs: Distemper, Parvovirus, Parainfluenza, Leptospirosis, Adenovirus, Kennel Cough. Cats: Feline Leukaemia, Herpes, Feline Influenza, Panleukopaenia, Calicivirus. Call in at the practice to complete a simple application form which will include full details of the Agreement. You will need to bring your bank details.Alternatively, please call the Pet Health Plans team on 0800 169 9958 to join over the phone. Whilst providing easy monthly payments for routine treatments, pets on Pet Health Plans can also be covered for injuries that arise as a result of an accident. For only £2.95 per pet per month, you can include accidental injury cover. This provides cover for the cost of treating accidental injuries up to £2,500 per incident, subject to an excess of £75. Total claims in any 12-month period may not exceed £5,000. Please ask the reception team for further details of cover. Terms and Conditions apply. Further details of cover are available from the practice who have copies of the full policy wording as well as the more convenient Key Facts.